Whipworm disease is an infection of the large intestine, caused by the nematode Trichuris trichiura (the human whipworm). It is as common as Ascaris particularly in areas with poor sanitation and hygiene. Most infections are asymptomatic. Adult worms (measuring up to 5 cm in length) have a whip-like morphology with a thinner anterior end. Eggs passed with the faeces need 2–4 weeks to become infective. After ingestion and stomach passage, the first-stage larvae hatch and temporarily penetrate the villi in the small intestine. The further development with four moults takes 1–3 months and occurs in the caecum and upper colon. 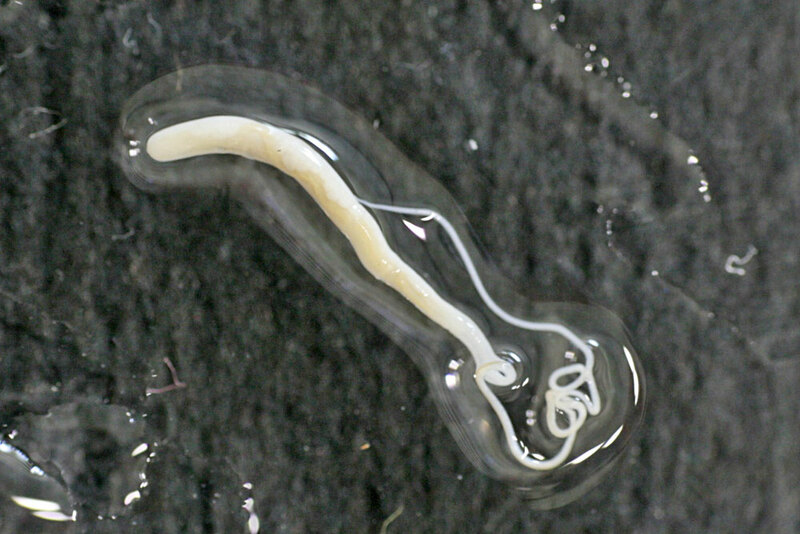 Thousands of eggs are produced daily by the female worm which may survive for several years.